Choosing the right business bank account can make your business more efficient and save you time and money. So why do so few business owners take the time to shop around and compare services? With so many banking services for business owners to choose from, sorting the wheat from the chaff can seem like a mammoth task. And picking the right financial institution is made even more difficult by the fact that some banks still don’t operate transparently, making it tough to find simple information about their pricing structure online. 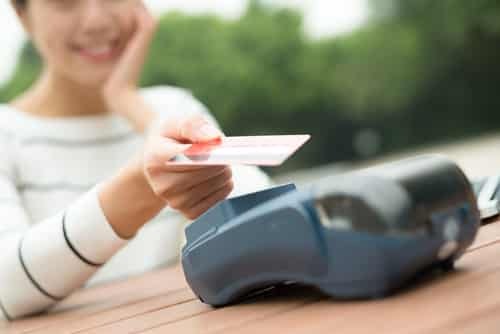 Many business owners still fall into the trap of opening a business account with the bank they use for their personal finances without shopping around for the sake of simplicity. But whilst one bank may be perfect for personal use, that doesn’t necessarily mean it’s the best choice for business banking. Moreover, many business owners are put off changing banks because of the often-arduous application process. But while searching for the best business bank account may seem like a drag, making the right choice can seriously help your company grow. Why should you shop around? Every business is different and has its own financial needs. Shopping around to compare deals and services will help you to find an account that meets your business’ needs, so you can reduce costs and keep your books clean. You should also be able to rely on your bank to be a supportive and transparent partner. The services and products offered from one business bank to the next vary greatly, so doing your research and seeing what is on offer is essential. Here are 6 things to consider when choosing which bank is right for you and your business. Think carefully about your business plan and your business’ needs. As well as a current account, what other products or services may you need now or in the future? Which bank’s offerings align with your needs? Avoid being short-sighted and thinking only of your current situation. Instead, consider your business forecasts and where you hope it gets to. You want to avoid outgrowing your bank in a year or two and having to start the whole process over again. Business bank accounts operate differently from personal accounts, and they often incur charges for transactions as well as a monthly fee. Some of the actions you may be charged for include making deposits, sending electronic payments, transferring money, and withdrawing cash. Review which actions your business performs most frequently and pay close attention to the relevant fees — they add up. Many banks give a fee-free period when you first join, but don’t be lured in by this fact alone; make sure you’ve carefully considered whether said bank will still be the right option for your business after it’s no longer free. Online banking and mobile apps are convenient for managing your finances on-the-go. Check which services are available via online banking and whether they facilitate the actions that you are likely to be performing regularly. If you already have an existing business bank account, look out for business account ‘switcher’ deals. Some banks offer those switching bank accounts a fee-free period. Banks want to encourage you to move over to their services, so switching accounts is made as hassle-free as possible. Everything is now usually handled behind-the-scenes between banks on your behalf, so you won’t have to deal with the logistics of moving your account to a new financial institution. Your credit score may affect how many options you have when choosing a business bank account. So it’s best to know your score before you start shopping around. If your score isn’t so great at the moment, look into each bank’s credit requirements early on, so you don’t waste time on one that won’t accept your account. While many of the larger banks may not accept businesses with low credit scores, some of the up-and-coming challenger banks (Monzo, et al.) and online banks don’t even require a credit check to join. 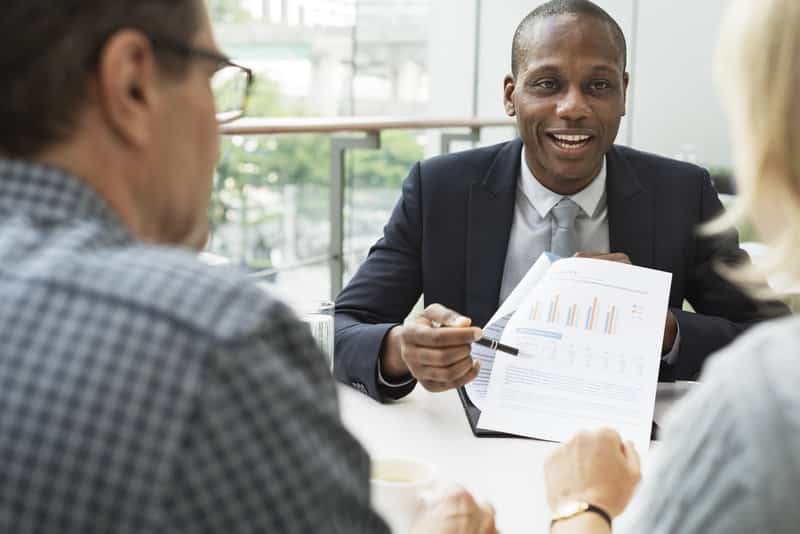 If you’ve narrowed your list of potential banks down to a few contenders and you’re still struggling to decide, making a telephone call or arranging a face-to-face meeting often helps. You’re bound to have a few unanswered questions at this stage anyway. Plus, speaking to an advisor should give you a feel for how the bank operates and what level of service you can expect. While it’s notoriously difficult to find impartial comparison websites for banking services (which is why we’ve written this article), there are a few resources out there that can help you gain some insight. The Business Banking Insight survey and website was launched by the Chancellor of the Exchequer and is run by the British Chambers of Commerce and the Federation of Small Businesses. At the time of writing, 20,011 small and medium-sized businesses had been surveyed, although this is being added to regularly to keep the information current. The survey results help businesses to gain impartial insight into the business banking options available to them. Customers surveyed rate their business bank in key areas including charges and fees, transparency, and ease of contact. The Better Business Finance website was set up by Barclays, HSBC, Lloyds and Santander and is managed by the British Bankers’ Association (BBA). The website provides impartial advice and support to businesses looking for a bank account or financing. Suitable for small and medium-sized businesses in their first year of trading. Santander is the top rated high street bank according to the British Banking Insight survey. They have also been named business bank of the year for the last 3 years running by Moneyfacts. Santander’s current account for start-ups offers new customers free banking for up to 18 months. Santander also offer an interest rate of 0.1% AER. Fee of £7.50 p/m after initial free period. For limited companies, partnerships and sole traders. Barclays’ start-up business account offers free banking for the first 12 months. After this period there are two simple price plans to choose from, allowing you to select the one that is most suited to your business’ requirements. You can also take advantage of their monthly loyalty reward which reduces your bank charges the longer you stay with them. For limited companies, partnerships, sole traders and charities. The Clydesdale Bank Business Current Account offer a huge 25 months free day-to-day banking for start-ups and switchers. Fee of £5 p/m after initial free period. For businesses with a turnover of up to £2m. Lloyds’ business account for start-ups offers 18 months of free day-to-day business banking. They also offer 24/7 support from their UK-based business management team and free electronic payments. Fee of £6.50 p/m after initial free period. For businesses with a turnover of up to £1m. HSBC’s current account for start-ups offers 18 months of free banking. Once the fee-free period has ended they offer a choice of two different tariffs and a Best Tariff Promise which means your account is regularly reviewed to ensure you’re on the most cost-effective option. Fee of £5.50 p/m after initial free period. Natwest’s start-up account is available to companies that have been trading for less than a year. The account offers customers 18 months of free business banking. Other useful features include the ability to apply for a business overdraft of £500, access to FreeAgent accounting software and Natwest’s own award-winning business banking app. No fee unless monthly charges are below £5. For businesses with a turnover of up to 1m. The Co-op’s FSB business bank has won Moneyfacts’ ‘Best Service from a Business Bank’ award for the last two years running. It is free to pay in cheques and up to £2000 cash each month. They also offer a fee-free overdraft and charge card subject to application and status. To join you will need to be a member of the Federation of Small Businesses. The Danske Small Business account offers two price tariffs, the cheaper of which is specifically designed for businesses who manage their finances through the Post Office and online banking. The Yorkshire Bank’s business current account offers a competitive 25 months of free day-to-day banking for new customers. The account also has the option for an agreed overdraft and offers personal care and support from a business banking contact. The Metro Bank Business Current Account is a relatively new service that is already being rated highly by customers surveyed for the BBI’s independent research. The Metro Bank have high street stores that are open 7 days a week, making it easy to get support when you need it. It is simple to open an account; small business owners can walk into a store and open an account without the need to book an appointment. If your balance stays above £5000 for the month then the monthly fee will be waived. The Co-op’s Business DirectPlus account offers new customers who meet the qualifying criteria free banking for 18 months. £5 p/m after initial free period. Natwest offer their business current account customers a dedicated team to help discuss and advise on your business’ future plans. For businesses with a turnover of £500,000 a dedicated relationship manager is available. Customers also have access to Natwest’s award-winning business banking app. It is quick and easy to instantly apply for a Cashplus account online, no credit check, paper forms or interview are required. There is no credit check required to open a CardOneBanking Small Business Account and you won’t incur any charges for late payments or overdraft fees. Minimum monthly fee of £12.50. Within a year of its launch, 1 in 12 business current accounts opened in the UK were with Tide. The account tags income and expenditure with labels to make accounting easy and can be used to create and pay invoices. There are no monthly fees with Tide and it costs just 20p for transfers. Awarded Best Business Current Account Provider for 15 years by Moneyfacts. The account’s monthly fee is based on your monthly cash deposits and includes standard day-to-day business banking charges. Santander also offers an interest rate of 0.1% AER. Clydesdale’s Business Choice account’s credit interest rates are linked to the Bank of England’s base rate. The account also offers the option of an overdraft. Danske’s large business bank account is also available to relationship managed customers in Business Centres and Corporate Banking. HSBC Large Business Bank Account customers will receive support from a dedicated relationship manager with commercial expertise. The account also offers two different banking solutions, allowing you to choose the one most suited to your requirements. HSBC offers switchers 12 months of free banking. Once the fee-free period is over there is also a choice of two different tariffs available and their Best Tariff Promise means your account will be regularly reviewed to make sure you’re on the cost-effective tariff. The account also offers access to finance and borrowing. Businesses that switch to RBS’s business current account will receive 2 years of free banking. The account offers the option to apply for a fee-free overdraft of £500 and there are no arrangement fees on fixed rate business loans. Coconut was created with freelancers and self-employed people in mind. You can apply now to join the waiting list for the beta version. The paid version will cost £4.95 p/m and is coming soon. The account tracks and sorts income and expenditure to estimate the amount of tax due. The paid version will include invoicing, VAT management and a handy option to share information with your accountant. What information do you need to open your business bank account? Opening a new business bank account can require a lot of paperwork and collation of documentation. To make the whole process simpler and to offer some clarity to business owners, Finance UK have worked with the providers of UK business banks to agree the basic information that is required to open a business bank account. Depending on the status of the business and which bank provider is being applied to, business owners may be required to bring some different or additional information. Finance UK have produced a helpful online guide for businesses looking to open a new business bank account. The guide helps businesses to discover what kind of questions may be asked when opening a business account and what documentation will be required. Over time as your business grows and changes you may find that your bank account can no longer fulfil all your requirements. It’s important to stay informed about new banking products, services, and features so that you can be confident that you’re still receiving the best service for your business. Visit the Explain My Banking website to receive an assessment of your current business bank account’s strengths and weaknesses, as well as a comparison against similar services and advice on how to save money. Business owners shouldn’t feel reluctant to make the switch if their current business account stops being competitive as switching services now make the process simple and undisruptive. The right business bank account will make your job easier and your business more efficient, so it’s well worth taking your time to find the right match. 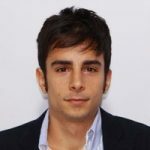 Antonio is an SEO Manager with a proven track record of driving web traffic and increasing corporate revenue; he expertly identifies emerging trends and evolving strategies and then applies them to improve sites' performance in search results (SEO).